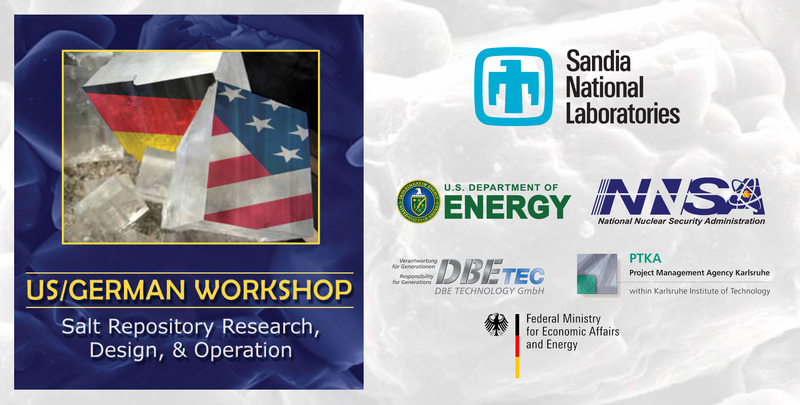 The 7th US/German Workshop on Salt Repository Research, Design and Operation will take place September 7-9, 2016. Please note that the Nuclear Energy Agency has decided to hold its Salt Club meeting on September 6, 2016 at the same venue, which is Embassy Suites Crystal City, Arlington, VA (Washington, DC). Several members of the NEA Salt Club often participate in the US/German workshops, but these events are separate. One can attend the NEA Salt Club meeting without attending the US/German Workshop, or one can attend the US/German Workshop without attending the Salt Club meeting.We hope holding these related meetings in this manner and place makes attendance cost-effective for travelers and convenient for colleagues from the D.C. area.